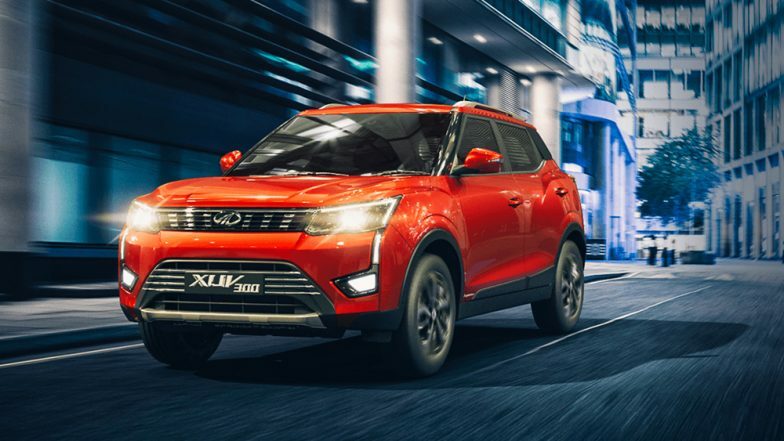 Mahindra & Mahindra, the home-grown utility maker launched the much awaited XUV300 compact SUV in India last month on February 14, 2019. In a matter of just one month, the UV manufacturer received overwhelming response for the XUV300 from the market wherein the SUV registered over 13,000 bookings and more than 2.5 lakh leads till date. Additionally, the recently launched XUV300 has entered the top 3 in the Compact SUV segment in its very first month. The SUV is pitted against the likes of Maruti Suzuki Vitara Brezza, Ford EcoSport and Tata Nexon. Mahindra XUV300 Vs Maruti Vitara Brezza: Prices, Specifications, Features & Variants - Comparison. The Mahindra XUV300 compact SUV is available in both petrol as well as diesel iterations. The petrol mill is a 1.2-litre Turbocharged unit capable of making 110 bhp @ 5000 rpm along with 200Nm of peak torque. On the other hand, 1.5-litre four-cylinder oil burner churns out 115 bhp and 300 Nm of power figures. The transmission duties on the SUV are carried out by a 6-speed manual gearbox as standard. The AMT iteration is likely to be launched soon in the market. Mahindra XUV300 Sub-Compact SUV Launched in India at Rs 7.9 Lakh; Prices, Features, Specifications & Variants. Coming to the price point, the Mahindra XUV300 costs Rs 7.90 lakh (ex-showroom Delhi) for the W4 variant. Moreover, the top-end variant - W8 (O) is priced at Rs 11.99 lakh (ex-showroom Delhi). The SUV is primarily available in 3 trim levels - W4, W6 and W8. The main underlines of the XUV300 are front parking sensors, heated ORVMs, all disc brakes, automatic climate control, 7-airbags, smart steering system and much more.